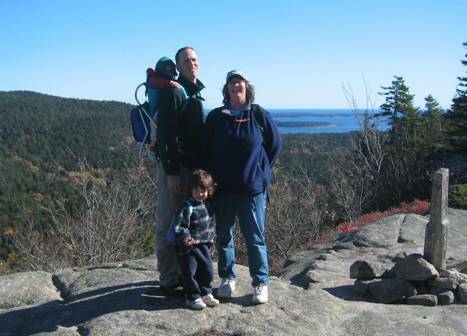 When not teaching ENG 317, I can be found enjoying the coast of Maine aboard our sailboat, kayaking on quiet lakes and rivers, hiking in Acadia, and playing with my daughter and son. I enjoy working with people and their writing, at whatever stage, from helping thoughts take shape to tinkering with a phrase in a final draft. The magic in watching someone’s ideas come together on the page never grows old for me. Freelance Technical Editor, Sept. 2000-present. Writing Center Director, UMaine, Sept. 1993-May 1997; Oct.-Dec. 1998. Assistant Director, Writers’ Center, Colby College, Sept. 1989-May 1992. Proofreader, Bangor Daily News, Mar. 1993-July 1995. Teaching Assistant, UMaine, Sept. 1986-May 1988. “Color, Re-vision, and Painting a Paper,” Writing Center Journal. Assorted articles in Writing Lab Newsletter. Composition theory and practice; technical communication practice. Current Activities: Teaching my daughter how to write her name and the alphabet while running after my son.